With innovative design the Quer 58 offers the possibility of carrying 100 passengers comfortably in 14 rows of seats, plus four crew members, two toilets and ability to locate all required regulatory safety. 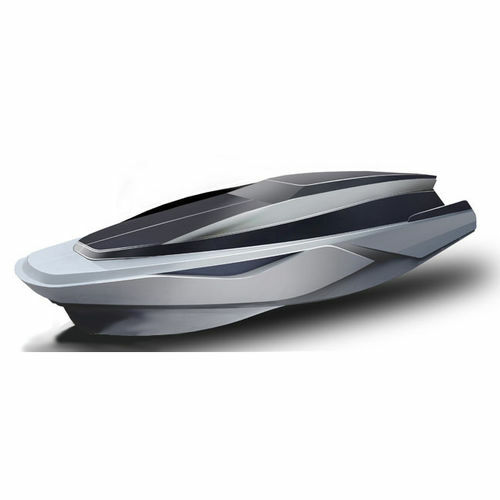 The hull of this boat is a development Quer smaller models, with a hull that has longitudinal and transverse steps that reduce the wetted surface, reducing friction and gaining speed. Furthermore, the bow has a dual ski deadrise with deep, so that generates the spray effect advance so that the water is sprayed along the hull decreases its density and reduces the friction, also gaining speed. The construction of this helmet is made with a unique system with honeycomb reinforcements and carbon, high stiffness and efficiency. The combination of our experience with new technological and spectacle of the cover closed as aerodynamics ensures both its appeal and its high operating profitability.